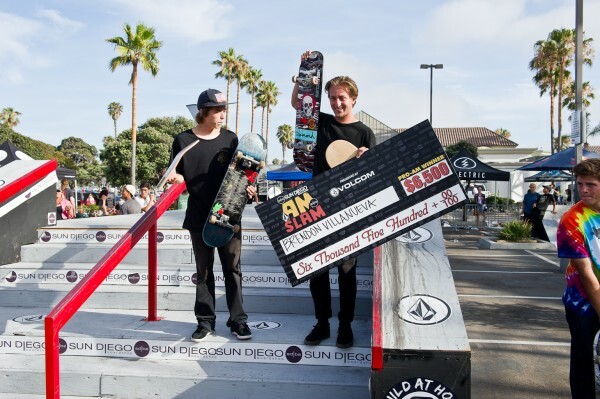 The first stop of the Sun Diego Am Slam series went down Saturday June 21, Go Skateboarding Day, at Belmont Park in Mission Beach, California. Some ripping went down from pros and ams alike, but when the dust settled, Brendon Villanueva took the big check followed by Chase Webb in second and Greg Lutzka in third. Check the video! 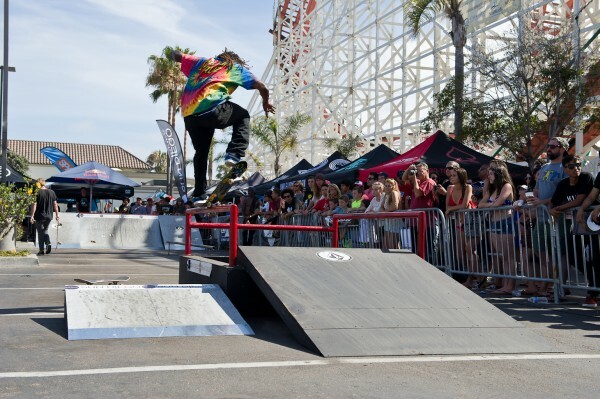 Adam Taylor, nollie frontside boardslide. 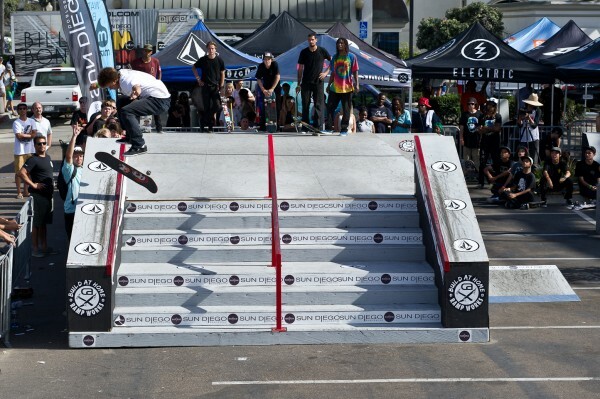 On path to victory, Brendon Villanueva, frontside flip. Chase Webb, fakie ollie 50-50. 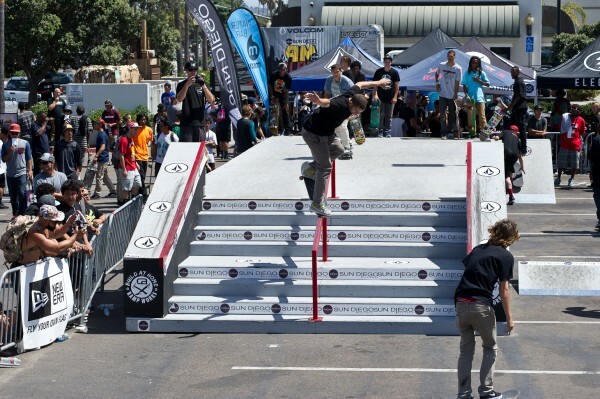 Chris Joslin, 360 flip 50-50. Dolan Stearns, ollie up onto the truck! Gary Feather, backside Smith grind. Greg Lutzka, frontside 270 to switch frontside bluntslide. 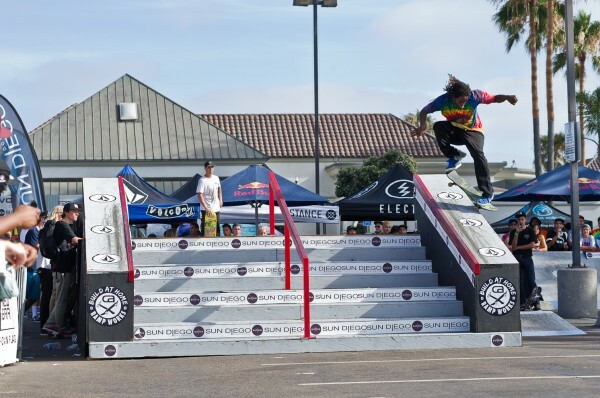 Oscar Meza, kickflip crooked grind. 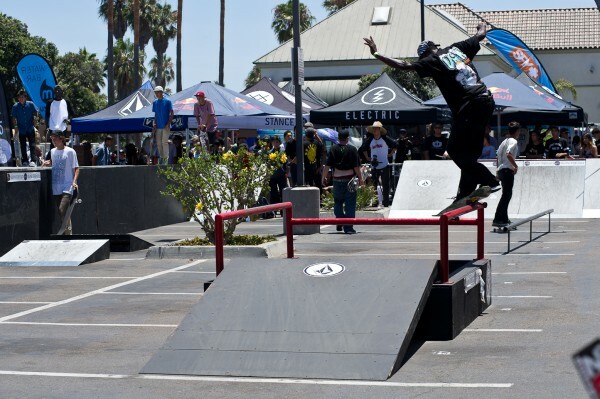 Darius “Woogie” Jackson, backside Smith grind. Second place Chase Webb and first place Brendon Villanueva!